Vermont has declared a statewide epidemic of whooping cough that started in 2012 and has continued into the year 2013. To date there has been a total of 612 confirmed cases of pertussis of which 90% have been vaccinated against the bacteria with the Tdap vaccine. The New England Journal of Medicine released a study that parallels this outbreak showing that of the confirmed cases of whooping cough the majority of them, 80%, had received multiple Tdap vaccinations - with most receiving 5 or 6 doses. With new vaccines and new medication hitting the market on a daily basis you would think we would have a population of healthy, thriving individuals. Instead, we have a growing number of childhood illness and chronic disorders that only makes the pharmaceutical companies more money. With the ultimate goal of turning people into patients, and being healthy into a diagnosis, how much longer will it be until these statistics are made public knowledge and an opt-in program for vaccinations is established? 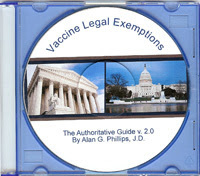 What is the accumulated damage suffered in receiving multiple vaccinations that offer little if no protection at all? The powers-that-be want vaccinations to become synonymous with medication; and now that they are admitting the vaccines wane over time, eventually they will be promoted on a daily basis just like taking your vitamins and eating you’re breakfast.